Anchor Home Group will be out at the Olde Towne Crawl in December with a beautiful holiday photo background set up for you to take your best family photos for FREE! We will be set up along the red brick wall facing Olde Towne Soda Shoppe. 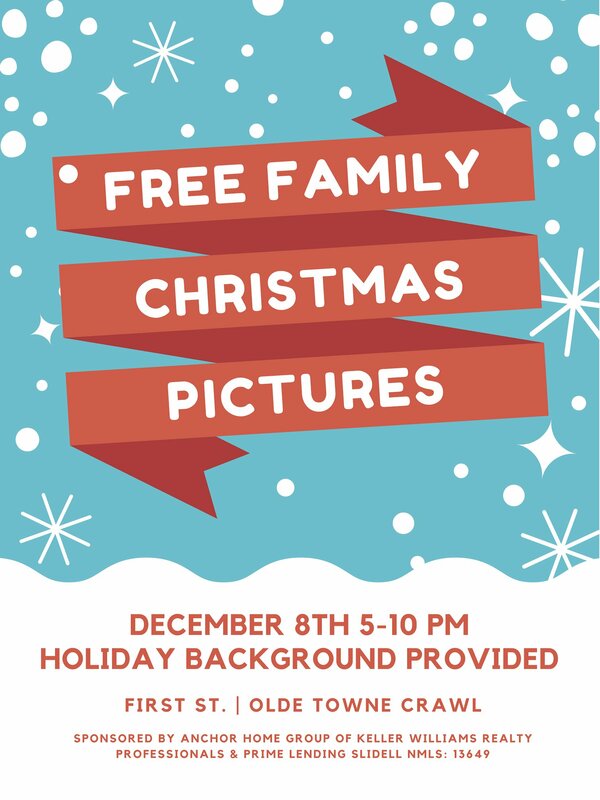 It will be a great night of crafts, food and holiday cheer. Family and pet friendly!